Providing you the best range of auto deflashing machine, deflashing machine, plastic bottle neck cutting machine, bottle flash cutting machine, plastic bottle deflashing machine and plastic bottle manufacturing machine with effective & timely delivery. We are counted as the foremost manufacturer, exporter and supplier of Auto Deflashing Machine that can do induction sealing of bottles, this deflashing machine is manufactured by utilizing the optimum quality raw material and leading technology. Our deflashing machine is extensively demanded in the market due to its performance. Offered deflashing machine is available from us in numerous stipulations to choose from. 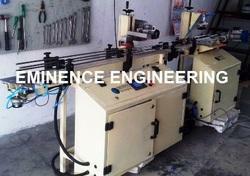 We are successfully ranked as the top manufacturer, exporter and supplier of Deflashing Machine. Our offered machine can trim the flashes of the bottles having a shape of oval, round, square. This machine is designed using top class components and modern technology under the direction of our skilled personnel. Offered machine is checked on well-defined parameters in order to offer defect range at the clients' end. Supported with immense technical expertise, we are engaged in offering Plastic Bottle Neck Cutting Machine. The offered neck cutting machine is design to offer a flesh removal solution for empty blow molding containers. 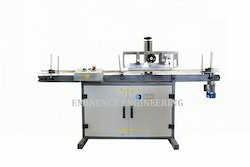 This neck cutting machine is tested against every set parameter to make certain default free range. Offered neck cutting machine is available in various specifications and can be customized as per with the customer’s needs. Automatic Bottle Flash CuttingDeflashing Machine is the perfect labor-saving component to meet the demands of Precise and high-speed bottle Manufacturing Industries. It is also called Bottle Neck Cutting Machine. Bottle Deflashing Machine is designed to provide a flesh removal solution for empty blow moulding containers and delivers them to the downstream equipment conveyor in upright condition after orientation No longer are employees required to manually sort bottles and remove the flesh with knife or cutter – an otherwise tedious and time consuming task. Automatic Bottle Deflashing Machine is perfect labor-saving component to meet the demands of Precise and high-speed bottle Manufacturing Industries. 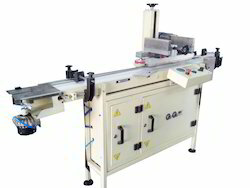 It is also called Bottle Neck Cutting Machine. Automatic Bottle Deflashing Machine is the perfect Plastic Bottle Manufacturing Machine labor-saving component to meet the demands of Precise and high-speed bottle Manufacturing Industries. It is also called Bottle Neck Cutting Machine. Why Special Purpose Deflashing Machine? Good Speed and Fully Automated as per your container. For the diverse requirements of our clients, we are engaged in manufacturing, exporting and supplying an exclusive array of Bottle Neck Cutting Machine. Our offered neck cutting machines are designed using high grade raw material and leading technology in adherence with market norms. 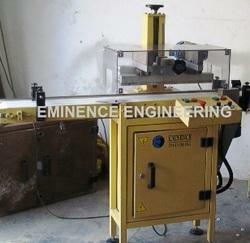 Our customers can avail these neck cutting machines from us in various customized options. Also, we offer our entire range of neck cutting machines in different specifications.